Preparation is the first step to enjoying a great juice cleanse. You can maximize the benefits of your next cleanse by dedicating a few days to preparation. Plus, you'll enjoy a more pleasant experience and avoid a potential "healing crisis" by cleaning up your diet in the days leading up to your juice cleanse. Our recommendation is to pre-cleanse for 2-7 days depending upon your current eating habits and lifestyle. Decide which category below best describes you and follow the recommendations for the appropriate length of time for your pre-cleanse diet. You are a health enthusiast who is off your “usual” track and needs a Reset to get back to your norm of clean eating - 1-2 days is likely enough time to set you up for great success. If kale is a regular part of your diet and you wouldn’t be caught consuming high fructose corn syrup, this is you! You eat well most days, indulge a bit on the weekends and are looking for a solution to make consistently healthy choices. Before diving into your juice cleanse, spend 3-4 days in your pre-cleanse elimination phase to rid your body of remnants of too much caffeine, alcohol or processed foods. Maybe too much to do in too little time leaves you regularly eating SAD - consisting of processed or pre-packaged food, and not enough fresh, nutrient dense plant-based foods. To avoid potential unpleasant detox symptoms and achieve your best Reset, commit to 5 days of a pre-cleanse diet. Indulging in fast food, sugary sweets, and sodas on the regular sound like you? Let your energy levels, metabolism, attitude and digestive system experience a Reset so you can live your healthiest and happiest life. We recommend that you embark on a 7-day pre-cleanse phase to reduce potential detox symptoms and prepare your taste buds for your cleansing journey! Cleansing reconnects you with your body’s needs. Dehydration is commonly mistaken for hunger, so drink more water to keep your cells hydrated and eliminate false hunger. Drinking water is also an important first step in preparing for your juice cleanse because it transports nutrients to your cells. For best results while cleansing, we want to bring your body into a more alkaline state. If you typically enjoy coffee or drink soda, take measures to wean off of these highly acidic, caffeinated beverages before your cleanse. For coffee-lovers, if cutting coffee out of your diet is not a personal goal, it is not essential to completely eliminate it during your cleanse. As a solution, you may opt to drink a low-acid, cold-brew coffee, choose to upgrade your cleanse with our Energy Kit or transition to a matcha green tea as a way to still get a bit of caffeine without disrupting your alkalinity levels. Energy Kit is available for purchase as a Cleanse Upgrade. Featuring fan-favorite Get Up & Go Go, a cold-brew + Almond Mylk coffee blend, and our potent 2oz Energy Elixir to help keep energy levels high (and stabilized) throughout your day! Up your enzyme intake and start introducing more fruits and vegetables into your routine by including at least a few servings of raw fruits and vegetables into your diet now! A quick, easy way to incorporate more fruits & veggies? Try this green smoothie: simple, efficient, quick, no fuss. In the 1-2 days before your Reset Cleanse begins, aim to eat a strictly plant-based diet… meaning no meat, no eggs, or dairy products. If you typically eat more than one serving of animal products per day, try to cut that down in the week before your cleanse. Animal products place a higher demand on your digestive system than plant-based foods do. It is ideal to begin easing the burden on your digestive system so that it’s ready to kick into high gear once you begin your juice-only Reset. The sooner that you can eliminate processed foods from your diet, the better. READ THE LABELS ON ALL YOUR FOOD. If you can’t pronounce the ingredient or don’t know what it is, chances are your body won’t know what to do with it either and you are adding to your toxic burden (unless of course its a superfood). Be careful of junk that is disguised as health food with labels like “natural” and other trick marketing buzzwords. And lastly, remember to EAT ORGANIC WHENEVER POSSIBLE! Once you’ve completed your pre-cleanse elimination diet, what are the next steps? Identify a cleanse program that best suits your needs and goals! Pick your perfect Reset: choose a 1-5 day cleanse! Each day is comprised of 6-bottles of cold-pressed, organic goodness for maximum nutrition. Designed for new and expert cleansers alike, our Classic Reset is our tried-and-true fan favorite with the perfect amount of sweet, mineral rich fruits and alkaline, antioxidant-dense veggies. Learn More..
Our low-glycemic option is for experienced cleansers looking for a deeper detox or anyone observing a minimal-sugar diet. Learn More. This hybrid cleanse program combines the power of cold-pressed juices, chef-crafted soups, potent wellness boosts, and superfood snacks to leave you rejuvenated. Great for anyone hesitant to embark on an “only” juice cleanse - you’ll find it’s our cushiest detox experience yet! Learn More. Know what you want, know what you need!?! Opt to build your own cleanse or contact one of our Customer Care team members to help you build out a cleanse to your preference. Learn More. Warm water with lemon first thing in the morning is an incredible liver stimulant that begins the cleansing process before you even have your first sip of juice. Warm lemon water is a ritual that we encourage you to keep pre, during and post cleanse for awesome health. Aim to drink a juice every 2 to 2.5 hours. Trust us: CONSISTENCY IS KEY. For some people, 6 to 8 juices per day may feel like a lot. However, if you space out your juices over 12 hours, finishing your last juice roughly 2 hours before your fall asleep - your body will thank you. Skipping juices will likely leave you hungry later and may result in your blood sugar crashing. Even if you are not hungry, when it is time for your next consecutive juice, drink up. Dry brushing: Dry brush your skin daily during your cleanse to help slough away dead skin cells and opens your pores for the elimination process.Read our top 4 suggestions for a great dry brushing experience.. Sweat it out: Breaking a sweat is your body’s most efficient method of toxin elimination. Try this Ginger Detox Bath Soak, take a brisk walk or jump rope to help your body generate heat on a cellular level. Eliminate waste: It is not uncommon to see a decrease in elimination as your cleanse continues. Less in can equal less out. However, it is important that you pay attention to your body’s signals. If you are experiencing detox symptoms like nausea, but have not eliminated waste from your intestines, you may need to courage elimination through an herbal laxative (senna), enema or colonic. If you are experiencing M.C.N., first check-in with yourself and see if you are really hungry or if you are simply craving that chewing sensation. If the answer is the latter, let it go! YOU CAN DO THIS. If the answer is that you are truly very hungry and you need an extra something to push through… HONOR THIS. Do not beat yourself about having a sensible snack and then jumping right back on track with your juices. An avocado, a green salad, a piece of fruit or small handful of nuts will not undo all the good that you are doing. Take a moment post juice cleanse and celebrate what it is you accomplished, for your mind and your body: for each day that you cleansed, you nourished your body with 20 pounds of organic produce, healing your body on a cellular level and elevating your wellness. Reflect on how you feel immediately after cleansing, what you learned and what you want to keep in mind as you move back into eating solid foods. As you integrate solid food back into your diet, please be mindful that your digestive system has been in a state of complete rest. Your first days post-cleanse should include lots of veggies and fruits. The items to absolutely avoid the first few days after your cleanse include: red meat, dairy, alcohol, processed and/or fried foods. 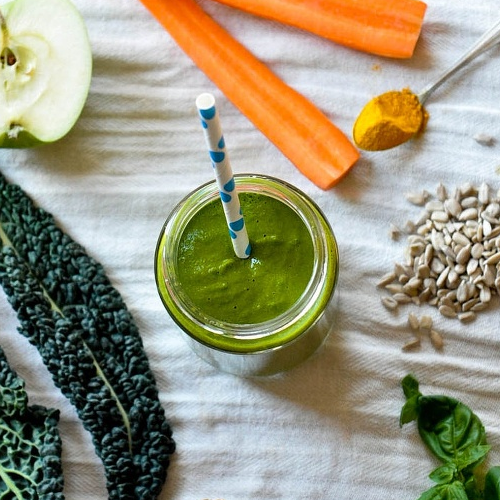 Our favorite way to come off the cleanse is with great smoothies, like this Detox Smoothie, the first day and slowly easing your way back into eating solid foods again. In the days following a cleanse, you have a unique opportunity to identify potential food allergens or sensitivities. If you suspect that you may have a sensitivity to wheat, dairy, nuts, soy or anything else, systematically add these foods back into your diet one at a time. By only adding one of these items back in your diet at a time, you will be able to identify if any of these foods are a trigger for&nbps;you. 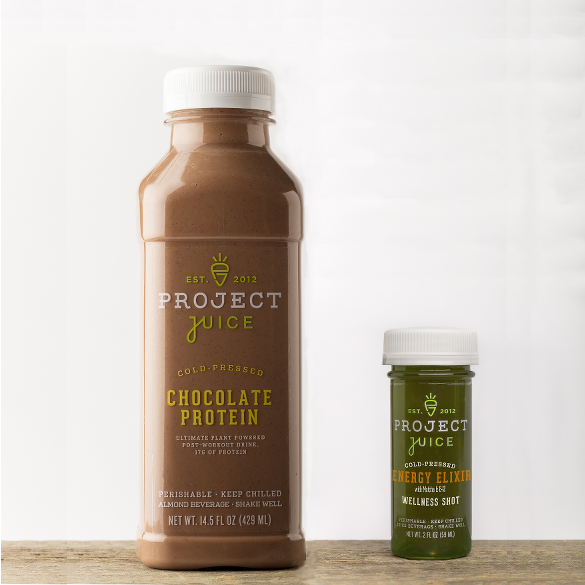 If you have questions about your cleanse - before, during or after - or if you would like assistance building a customized cleanse based on your needs and preferences, please do not hesitate to contact our Customer Care team (844.PR.JUICE). We would love to hear from you!